1) Layout, design and build a SEO friendly optimized web site. How does a W3C compliant web page code effect the the marketing and promotion of my website in search engines ? SEO, Search Engine Optimization is the art and science of making websites perform and rank better in the search engines. There is no magic or silver bullet to it. It’s all about understanding how search engines read web pages and what factors they take into consideration when deciding how to rank a web page on your website. Use the below W3C Validator to validate your HTML and XHTML web pages. 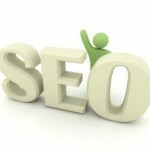 Analyze the optimized content of a website. Shared Hosting? Find out who you are sharing it with. CLICK HERE to become a volunteer contributor. You will be recognized for your donation of time, services or funds. This website maintained in part by donations and contributors.